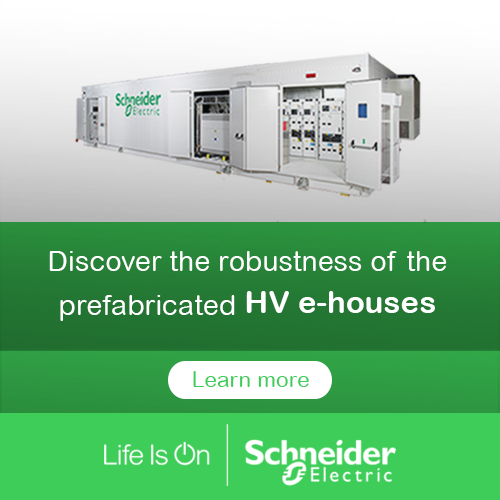 Prefabricated E-house (HV/LV) substations are a booming, fiercely competitive business. I’m talking about applications that range from PV or wind farm boxes to shore connections and data centres. I’m also talking about distribution substations. Not about secondary substations, but the big ones used by utilities and industry that can operate in harsh environments and, when it comes to the oil and gas segment, in explosion-prone conditions. Yet the only prefab substation standard is the utility-dedicated IEC 62271-202. Its scope is just too narrow. There is clearly a shortfall in international standards. As for local regulations, they are notoriously complex. The company I work for has developed an innovative E-house substation solution that relies on a new approach to standards, regulations, and specifications. It is a modular, easily liftable and transportable E-house building that uses interlocking metal panels covered by a cladding in sandwich panel technology. We tested our technology against the most stringent requirements and building codes of 28 countries. We benchmarked the E-house’s metal structure against the IBC and EC3 building codes before BCA and tested its fire resistance against EN, AS, ASTM and IMO standards. Our approach is to run functional analyses that give us a checklist of the requirements our technology should meet—structural stability during all life phases, degrees of protection, fire resistance, lifting, and corrosion, etc. In essence, these are all aspects of safety and reliability. But safety and reliability are precisely what lie behind the values and specifications set out in standards, after all. We have used the same approach true for local regulations as part of our policy of designing globally and producing locally. Our E-house—with its time-tested, fire-resistant outer cladding—is compliant with regulations across four continents. We leverage our numerous local equipment factories to supply our regional E-house competence centre in accordance with design. On the basis of our standards—e.g,. execution classes, the same measurement of kg/lm (linear meter)—we designed a customization tool that draws on a global database of some 1,100 steel members of different grades, profiles, sourcing points and, therefore, standards (e.g., ISO, ASTM, GOST, JAPAN, BS). Local engineers can thus choose the best fits against criteria like maximum stress and moment withstand in lateral buckling or maximum acceptable deflection. Local presence and actionable knowledge are critical, as it is extremely tricky to meet local regulations to the letter. Once again, we use functional analysis to identify the underlying concerns of safety and reliability and demonstrate through type tests how our technology answers them. What if a customer asks, for example, for blast withstand of 3psi as RMS value even for a non-hazardous area? Such a value would be oversizing, as blast wave reflections double the blast, as the ASCE report for petrochemical facilities and process industry practices (PIPs) has clearly explained. With our close local connections and verified technology, we allay our customers’ fears over insurance, focusing on performance everywhere and not only on how to achieve it in only one region. Indeed, we go further than product-oriented standards and regulations, precisely because their product focus is a weakness when it comes to the broad electrical installation needed by customers’ applications. Standards should be oriented toward the best electrical installations for such customer applications as PV or wind farm boxes, shore connections, data centres, or large distribution substations, all of which have different safety and maximum uptime constraints. I’ve actually written a number of papers on the topic. To calculate absolute temperature values in switchgear enclosures, for example, we factor in ambient temperature, temperature rises inside housings, and solar radiation. Product standards don’t. Best of all would be permanent thermal monitoring that meets customer needs for condition-based maintenance. I believe that using functional analysis to support our global-design-local-production approach, our HV and LV E-house can also significantly contribute to substation uptime. Indeed, it already is. If you want to know more click here and, don’t hesitate to leave your comment in this blog, our expert will answer you with pleasure! There is has been significant competition between the various Power Generation and Distribution companies in international market. It could have competition between Power Generation and Distribution companies when there is overlap of a scope with a same level of reliability under regulation, but the core of their business is usually different. Thank you, received and correlating.